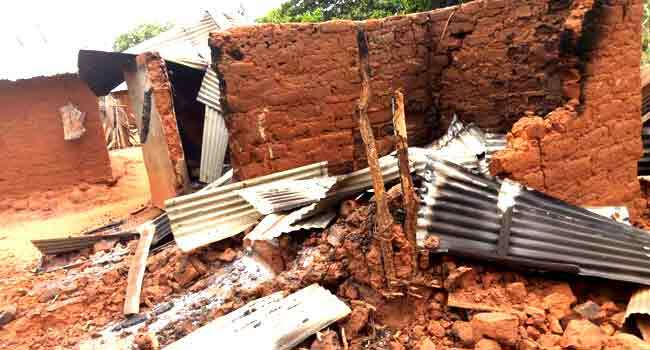 The Socio-Economic Rights and Accountability Project (SERAP) has asked the UN Security Council and its members to declare herdsmen attacks across the country as acts of terrorism. In the letter dated March 16, 2018 SERAP expressed, “serious concern that the government of President Muhammadu Buhari is failing to uphold its responsibility to protect the citizens”. According to the group, if not urgently combatted, such attacks may rise to the level of threat to international peace and security. “The resolution should also call on the UN Secretary-General to carry out a joint visit to Nigeria with the High Commissioner for Human Rights, Chairperson of the African Union Commission, and the African Union Peace and Security Council to investigate allegations of killings by herdsmen and to better understand the root causes of these killings and put pressure on the Nigerian authorities to end them,” SERAP said. Their appeal follows similar calls by some prominent Nigerians asking the Federal Government to declare the killer herdsmen as terrorists. While delivering his keynote speech on Thursday, at the Ripples Nigeria Dialogue; an annual forum designed to broaden the conversation on issues troubling the nation, he said it is high time the Federal Government gives a stern warning against the carnage and utter destruction they inflict on the communities. “We’re speaking of governance, will, and responsibility, the readiness to respond with massive punitive action when the fundamental security of a people is violated. “We’re speaking of the courage to decree such monsters terrorists and enemies of humanity with the same dispatch as the declaration of fireless violent, far less destabilising movements, albeit disruptive, supernaturalism and sometimes nasty in their attestation and activities”. Also lending his voice to the issue, historian, Professor Banji Akintoye said during an interview on Channels Television’s Politics Today that the killer herdsmen appear to be more dangerous than Boko Haram terrorists and therefore, must be stopped before their activities get out of hand. “They are all over Nigeria, there is no state in the middle belt and the south that they have not killed people in so they are more dangerous than Boko Haram,” Akintoye stated. Since the beginning of the year, many families in states across the nation have been thrown into mourning because of the killings. States such as Rivers, Ekiti, Plateau, Nasarawa and Benue have been the most hit, with the latter, witnessing the highest number of deaths. While insecurity has been a major issue since the start of the year, the Federal Government has promised to do all it can to ensure that the killings come to an end, and the perpetrators are punished. In an effort to curb the menace, President Buhari ordered the IGP to relocate to Benue state. Although he visited Benue after the President’s directive, the state government accused him of spending only one day in the state after which he proceeded to Nasarawa state.